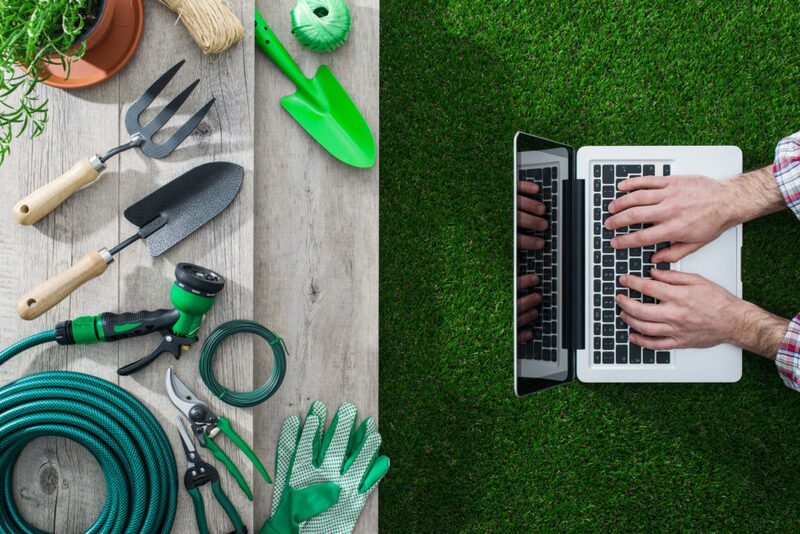 Blog How Smart is Your Smart Garden? How Smart is Your Smart Garden? Most of us enjoy the idea of having a beautiful garden that makes the neighbors greener than the ferns planted in it. But keeping your garden fabulous and blooming takes a lot of time, and by the time you remember that you forgot to water it, it may be too late to save. It happens to a lot of us, we start with the best intentions and end up with wilted kale and dead petunias. Nothing is sadder than a neglected garden, but luckily for those of us who weren’t blessed with a green thumb we have new smart technology that can keep our garden healthy even when we cannot. Smart garden options also allow you to grow year round with new indoor gardening choices. It can be annoying to go to your local grocery or farmers market to buy fresh herbs, use them for one meal and the next day they are already starting to wilt. While they may look fresh in the market, picked herbs will have a fairly a limited shelf life. But worry not, you can grow fresh herbs inside your kitchen, all year long. Indoor smart gardens are perfect if you don’t have a yard or you your growing season is limited. 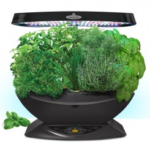 The Miracle-Gro Aero Garden Ultra LED Indoor Garden is a soil-free herb garden that grows plants on the quick. You can grow everything from salad greens to fresh herbs, and even vegetables. The easy to use control panel has an interactive LCD that provides step by step help from planting to harvest. 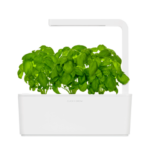 If you are looking for less expensive options, try Click & Grow Indoor Smart Herb Garden with a lower price point it can be an economical way to grow herbs in your house. You can expect full growth in 1-2 months for herbs that will last around 2-3 months. It uses a small amount of power, which shouldn’t have too much of an impact on your energy bill. Another interesting idea for your indoor garden is WindowFarm; it is a hydroponic system where water is pumped up from the base and then distributed from pod to pod, and by placing them in the window they can benefit from mature lighting. But if you want to start a small indoor farm, it’s an interesting concept. You can’t grow everything in your house, and if you want more than herbs you will most likely need to venture out of the house to plant a more substantial garden. New smart garden technology is now allowing you to grow a fantastic garden with little effort, which is perfect for those of us who could kill a cactus. Smart garden devices can now monitor everything from how much sunlight your plants are taking in, to the level of moisture in your soil by putting into place sensors that can share data with your sprinkling system, which not only stops overwatering but also saves you money on your water bill. And if lawn mowing is so not your thing, you can get a robot to do it for you. Robots. Lawn mowing robots. What could be more awesome that that? Maybe Robobees but a robot that mows your lawn is a close second. 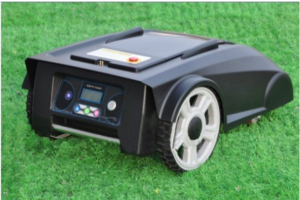 The 200m Virtual Wire/Robot Mower is a fully automated grass mowing robot that is battery powered. Although some puritans would prefer your traditional lawn mowers, you can’t help appreciate that it has a collision sensor and can stay within the boundaries of your yard, so you won’t have to worry it cheating on you with other yards in your neighborhood. It will also return to the charging station when it rains, and it has a built-in theft protection system so should someone try to remove it from the yard or charging station it will shut down and sound an alarm. So should your neighbor get jealous and try to steal it, you can report it. Then they can be jealous and have a criminal record too. I mean what is cooler than a robot mowing your lawn, and while it may remind you of a Roomba, I would advise against putting the cat on it. Sensors, sprinklers, and monitors, oh my! 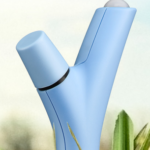 Parrot Power Flower: This sensor is designed to look like a part of your garden that can also measure the health of your plants in real time and report that data back to an app on your smartphone. It also has Bluetooth capabilities that can allow it to talk to other smart garden devices. SkyDrop 8 Zone Wifi-Enabled App Smart Sprinkler Controller: This automatic smart sprinkler control system can customize watering levels by monitoring current weather conditions and then adjust the watering levels to make sure the garden gets the exact amount of water needed. It is also WiFi enabled so you can operate from any PC, tablet or smartphone. Smart Solar-Tier Solar-On-Demand Fountain: What is a smart garden without a smart fountain? This lightweight fountain is maintenance-free and easy to install. It also recycles water from a hidden reservoir using an underwater solar pump system, which is good for the environment and even better for your water and electric bills. PlantLink: While this sensor is focused on measuring the level of moisture in the soil and nothing else, it does it better than any other. And it is a little cheeky which makes it a fun sensor to communicate with when you need to. You can give your plants nicknames and then your “plant” will reach out to you when it needs water. It can also water itself when you install the PlantLink valve on your existing water hose. VegiBee: This bee is pretty smart. It is designed to pollinate in the place of a real bee and can work for vegetables like tomatoes, peppers, peas and even strawberries. You can control your pollination by using electric handheld pollinators which can result in 30% higher pollination annually. They mirror the high-frequency vibrations that occur when actual bees pollinate and then they gently release the pollen into a spoon designed for collection. Smart gardening devices can now let you grow fresh vegetables even if your apartment is on the 67th floor of your high rise. And for those of you that are ground dwellers you can now grow perfect peppers that can text you when they need water, and grow beautiful flowers that are pollinated by VegiBees. And when your neighbors ask how you have such a perfect garden you can take all the credit. Just make sure that you hide the boxes in the garage first. With the IoT now invading your garden with new smart devices that can make manage everything from sun and shade times to distributing the perfect amount of water to keep your soil moist, you can finally enjoy gardening. And if you can still kill your plants and vegetable after using all of these smart garden devices, you may want to consider a new hobby.